One of the biggest reason of the great success of iPhone, apart from its awesome design and features is the plethora of apps the iTunes store offers. There are apps for everyone! A person from any profession can find an app that will fulfill his needs. 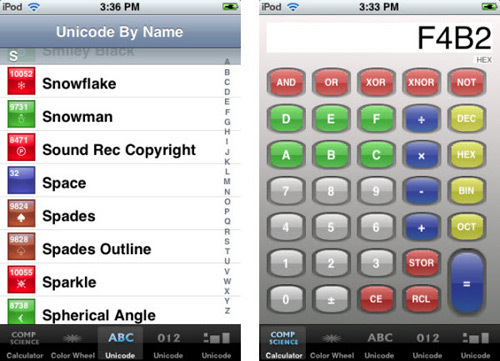 So today we have a list of 20 useful iPhone apps for developers and designers. If you belong to any of the two professions, then you should definitely check this list out! If you like this article, you might be interested in some of our other articles on iPad Apps For Designers, iPad Apps for Photography, iphone apps graphic designers and Freelancer Designer apps. We can’t even imagine internet with colors. But internet with too muct colors would also be quite annoying. So this is the reason why web designers have to pick the best colors for their project. A web designer working on a project with CSS, HTML, Flash or any other language spends a lot of time looking out for the best colours. So here is where Cliqcliq Colors can come in handy. It lets a designer make a color palette of his choice and then provides HEX code which can be used easily. This is a great color extraction and production app that provides HEX codes of the color that you have selected. 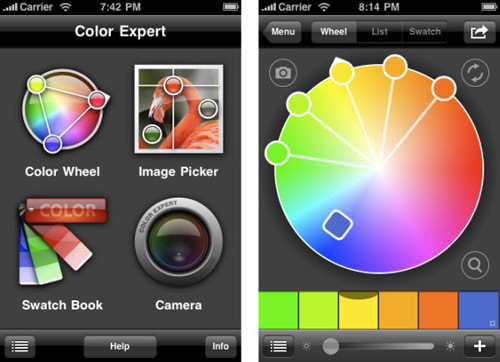 You can also pick out a color from any picture stored on your iPhone. It also offers color palettes of PANTONE solid coated, solid uncoated, PANTONE goe coated, uncoated, HTML, Web Safe colors and even the library for Lab and CMYK colors. Rulers are a must have for any designer. 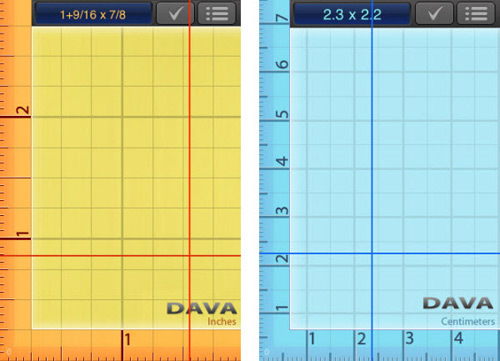 So this app converts your iPhone into a portable ruler that is a lot more accurate than your typical hand. The measurement taken by this app are very accurate and precise, so you will not have to carry a ruler ever again — thanks to this amazing app. Text is one of the most important thing when it comes to websites. so this app is surely a must have for any designer. It teaches the designer everything about typography and what makes the text look readable, crisp and attractive. It is a great book that teaches you about all the new concepts of web design, like introduction of HTML 4.01 and new XHTML concepts. 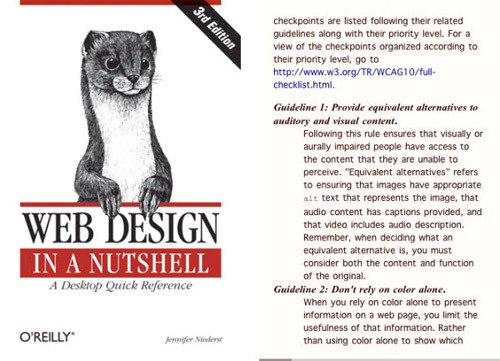 You should definitely check this book out as you really don’t want to make a site with old design and code that does not work with the major browsers. This book also instructs on how to make a website more efficient. Truely a must read! 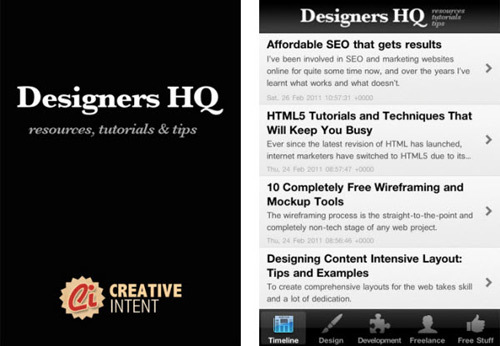 This is an app of a community called “Designer HQ”. Here you can find a lot of information about design, tutorials, tips, tricks and also free stuff that you can use in your design. This app gets content from many big web design sites like Smashing Magazine etc. Sketches is a great app for all those designers who have to make sketches quickly. A sketch needs to be made very quickly and in a precise manner so that it is understandable later on. Now you can do this easily using this amazing app. It provides users with many brilliant features like clip-art, artistic brushes, and shapes that make sketching really easy and quick! Love a font but don’t know its name? Well then this is where WhatTheFont comes in handy. WhatTheFont helps you recognize the font simply by tapping a photo of the font with the iPhone camera, and then this great app will show that fonts that match the most! The fonts are found from the directory of MyFonts — which boasts the largest font collection in the whole wide world! This app lets you open your Windows-created database on your iPhone. 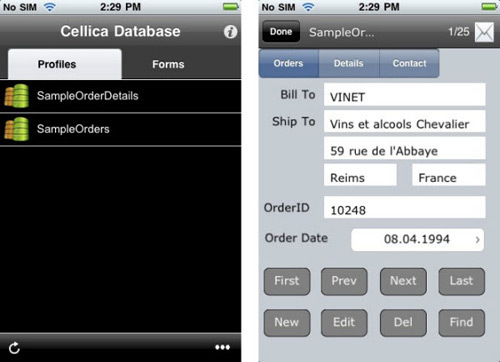 You can make tables, queries and even forms using your iPhone. This app can even be synced with complex database software such as Oracle, SQL Server, etc. You can use this app for transporting and editing any database with ease. You are required to download their desktop software also. This would let you access the database files on your PC from anywhere when you are near a Wi-Fi router or internet connection. This app is awesome for taking care of your server requirements. It lets you keep tabs on your website domain server status to make sure it is working alright. You can ping your website server from any location, straight from your iPhone. You can also check your IP address information taken from the website address to ensure that no confidential data is visible. The name says it all. 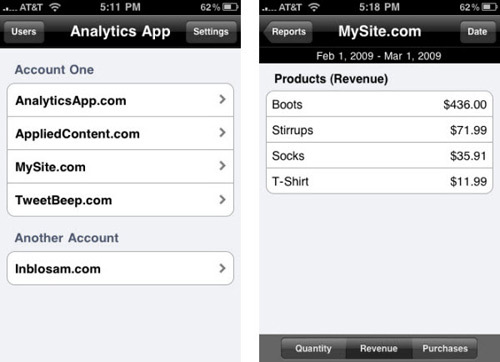 This app allows you to access your Google Analytics straight from your iPhone. You can check the Google Analytics’ statistics of your website and then improve your services accordingly. Want to get a peek inside the field? If so, then check out this great cheat sheet — and that too, straight from your iPhone! This is a great app that will help you out when you encounter some problem in the PHP phase of your project, by providing you commands and PHP syntax instantly. Well this app provides something more than just cheat sheet. It provides you with commands and syntaxes, and in addition to that it lets you test them inside the app and even test self-created syntaxes to see if they work alright. This amazing app provides cheat sheets for popular language like PERL, Java, PHP and Python etc. As the name suggests, this cheat sheetis for the popular computer language, Python. Now all the syntax and commands of this popular language are just a tap away! The best part is that this app works offline too! A simple but must have toolkit for all the developers. This can prove to be really useful when coding a website or a software as it provides you with the Unicode or UTF-8 character code for any symbol you want. It also boasts an inbuilt calculator that lets you calculate very quickly! This one is a database creator, using which you can store, carry out and edit the database. It boasts some complex features too, like password protecting specific category which has some private data. This app also provides you with some inbuilt themes and templates but in case you don’t like them, you can always make the new ones! This app converts your iPhone into a portable flash drive! So now storing your data and taking it everywhere with your is easier than ever with this app. This app can prove to be really useful for people who need to transfer data from one PC to the other frequently. Here is a list of some awesome apps that can prove to be useful for both web designers and web developers. These apps will come in handy for both the professions and also enhance their work productivity! This app is simpler and more easy to use than the native Safari browser. It allows surfing the web on a full screen mode, without any tab or address bar blocking your view. Because this app lets you view the website in full screen mode, web designers can see the design of the whole website. Web developers can also take advantage of this app, as they can see how a design looks and then they can code accordingly. Environmentally friendly and don’t want to waste any paper? If so, then get ACT Printer as soon as possible. This app lets the paper to be printed into the iPhone instead of a printer. When you print any document, simply select the option to ‘Print to iPhone’, this will let the document to be soft-printed onto the iPhone instead. This app lets you create tasks by projects so that work work is done in an organized way. This app is a must have for every web developer and web designer who is required to finish a task before a deadline. This app lets you break your tasks into various small tasks, which lets you work without any stress and finish it before the deadline.